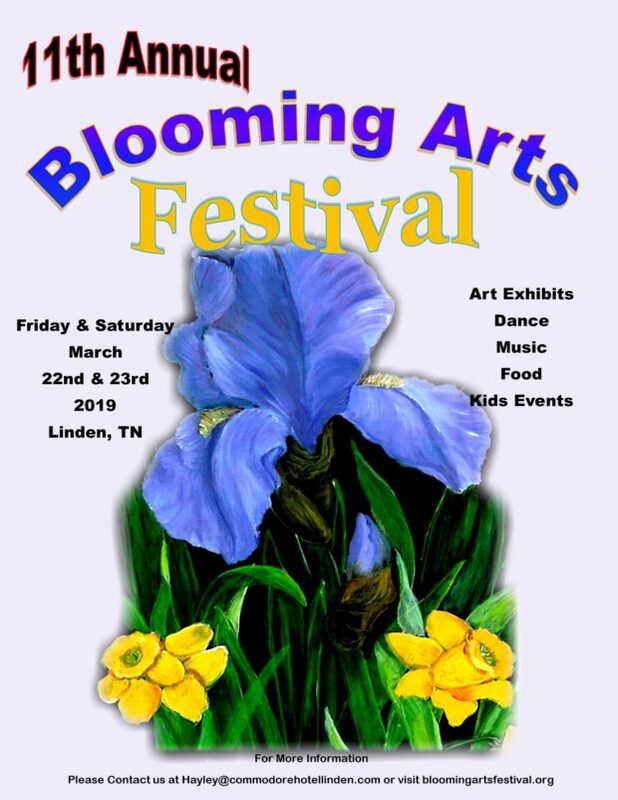 With an outstanding slate of educational events and interactive exhibitions, Linden’s 11th Annual Blooming Arts Festival features interactive artist demonstrations in, stained glass, blacksmithing, fiber art, flint knife making, painting, modern dance, and music of multiple genres. Demonstrating artists and performers include local and regional artists and artisans. Food will be abundant provided by local eateries and street vendors. Guided tours will be available highlighting the new Linden Art District, the new Heritage and Visitor Center, and the Historic Commodore Hotel. Approximately 100+ exhibiting artists will present items such as wood carved bowls, totem poles, hiking sticks, pottery, clay figures, stained glass, weavings, books, jewelry, baskets, quilts and painted feathers, portraits, photographs, paintings, dolls and gourds. Linden has also completed construction on its downtown and has a new streetscape including widened brick sidewalks, new streetlights and landscaping which will completing Linden’s “renaissance” transformation. The Blooming Arts Festival has been developed to honor the culture and natural beauty of Perry County and was attended by several thousand enthusiasts last year. The 2009 Festival was the kickoff event launching the Linden revitalization into full motion. Perry County Youth Organization, Vision Perry, creating 12 public art pieces that garnered statewide and national attention. The pieces include stained glass trash cans, mosaic tile sculpture, and even a large basket fence inspired by local basket weaver Ida Edwards, who with help of student artists wove her “largest basket ever”. The 2019 Blooming Arts Festival has expanded, including indoor and outdoor venues throughout Linden’s downtown, with performers and demonstrating artists mixed within exhibit locations. Participating artists are excited about their media, and eager to share information and encourage hands-on activity. Maps, artist listings, and a schedule of events will be available at the event’s Linden Welcome Booth, and are available at www.bloomingartsfestival.org. 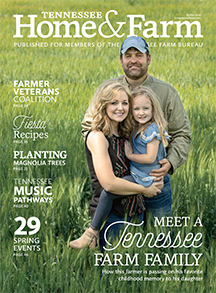 We appreciate your support as you join us in celebrating the fun-friendly atmosphere, crafts and beauty that’s alive and growing in Perry County. For further information please contact event coordinator at 931-994-7844 or hayley@commodorehotellinden.com. In conjunction with “Keep Tennessee Beautiful” we are committed to making this event litter free.